Napa Forge Coal And Pellet Bucket With Shovel provide a convenient way to keep your fireplace fueled and running efficiently. 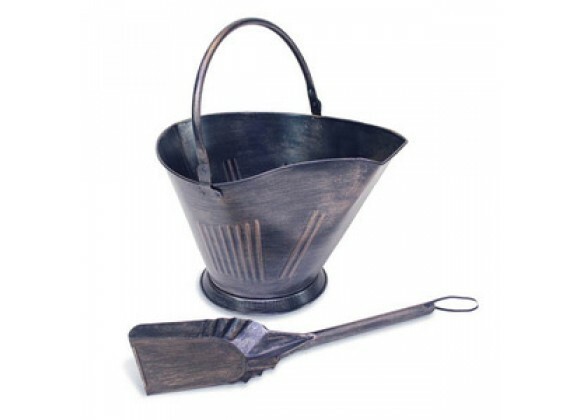 This coal bucket is in flat vintage iron paint and features a double bottom for insulation from hot ashes and two handles. Coal and pellet bucket with shovel.